Henry Jamison is a distinguished voice of humility and reason in these heated and often challenging times. 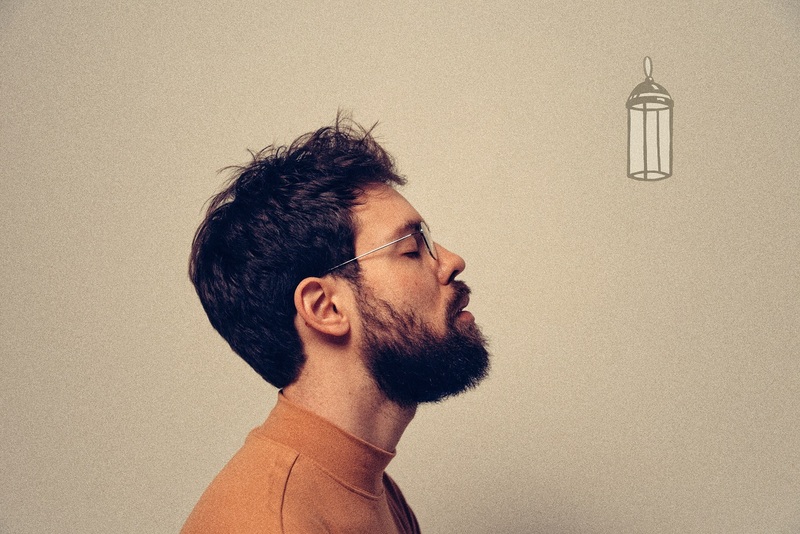 The singer/songwriter recently spoke to Atwood Magazine about toxic masculinity, male privilege, and the nuanced music and lyrics of his breathtaking sophomore album ‘Gloria Duplex’. There are some deep-seeded things within men in our culture that need to be addressed, and I felt the need to address them in myself. One listen to Gloria Duplex is all we need to affirm what we have long known to be true: Singer/songwriter Henry Jamison is one of America’s modern folk masters. With an ear for sweet, unique melodies and a mind for beautifully poetic, thought-provoking lyricism, the Vermont-based Jamison makes easily accessible music that is at once exciting and important, without being preachy, haughty, or condescending. 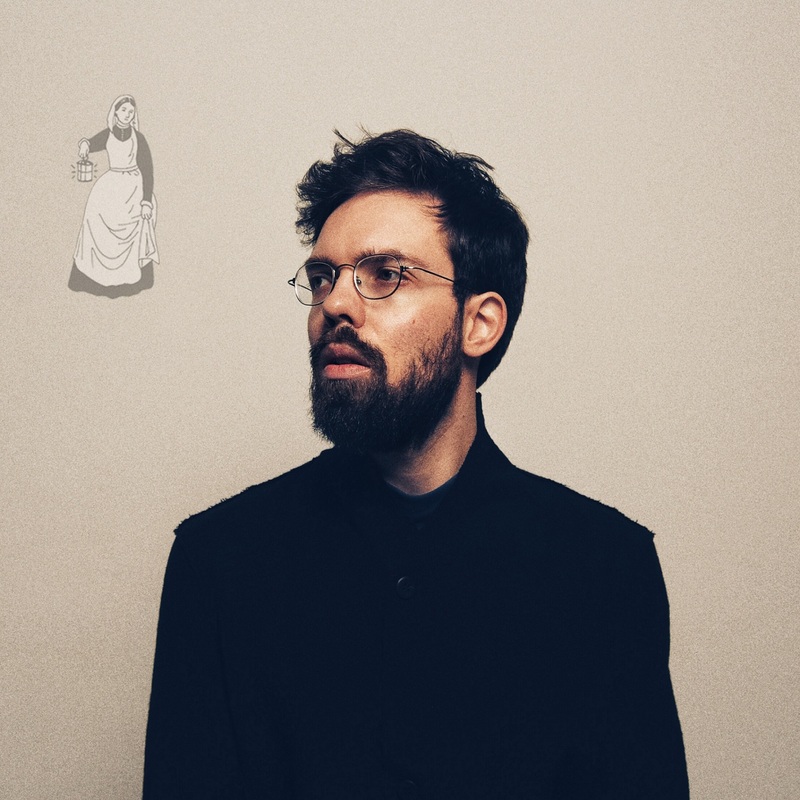 With an evolving artistry “at the edges of the conventional folk arrangement” per his own admission, Jamison is (perhaps unintentionally) pushing the boundaries of who a folk artist is and what folk music can sound like in the 21st century. His newest music challenges listeners to keep our eyes, ears, and hearts open while never addressing us directly; by experiencing an intimately introspective confrontation/investigation of the self, we are innately driven to our own admissions of blindness, coaxed from within to reckon with our privilege and shortcomings, our preconceptions and our limitations. It’s an exercise in humility as much as it is a powerful opportunity for individual growth and self-development. 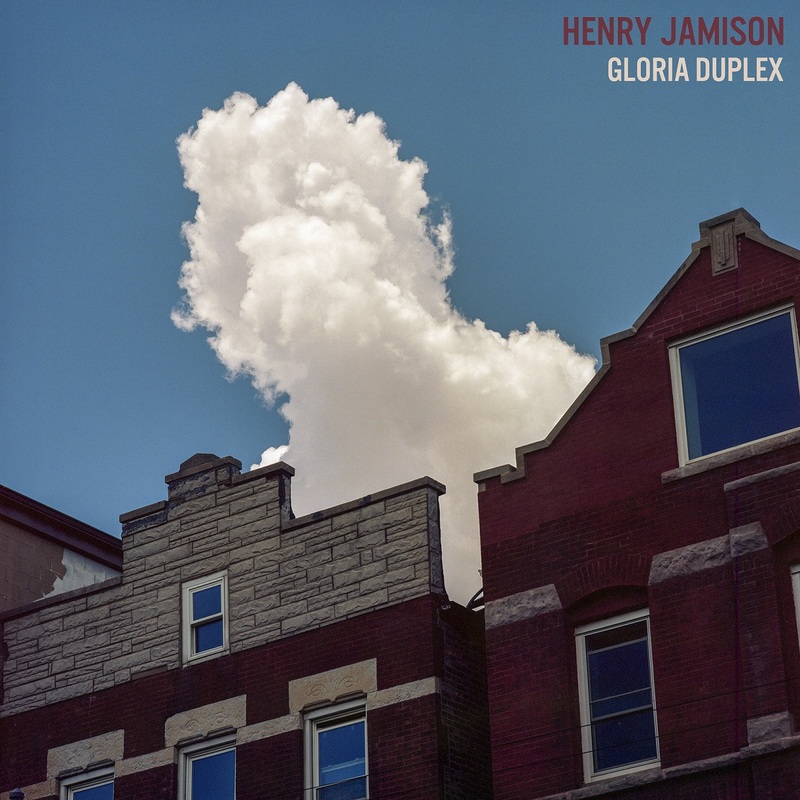 Released February 8, 2019 via Akira Records, Henry Jamison’s sophomore album Gloria Duplex is his most powerful, personal, and consequential work yet. Named after the Latin term for “seeing both sides” or “seeing complexity,” Gloria Duplex offers a truly breathtaking exploration toxic masculinity and what it means to “be a man” through a transformative musical journey that starts with a man and his acoustic guitar, and ends up in a brave new world full of nuanced orchestrations, synths, and “electronic” production. For Jamison, Gloria Duplex is rooted in the idea of transcending everyday prejudice — of practicing an acute self-awareness where we recognize ourselves for who we are, and incorporate that knowledge into all interactions with our surroundings. “Whatever problems I see, they can kind of be related back to some hurt man,” Jamison asserts. While it’s especially important for men to listen to this album and absorb its message, Gloria Duplex is an experience everyone should hear at least once. It’s a timely reckoning of male privilege, maleness, and toxic masculinity set against a breathtakingly beautiful soundtrack – a somewhat timeless piece that endeavors not to change us, but rather to start the conversation, so that it can be had. The dominoes fall in one direction: It’s hard to reduce our vision once we open ourselves to both sides. This is only the very beginning of a long and arduous collision of values and practice, and there’s no telling where it goes from here. Oh my goodness, where have you gone? do you lie irretrievably in my childhood? 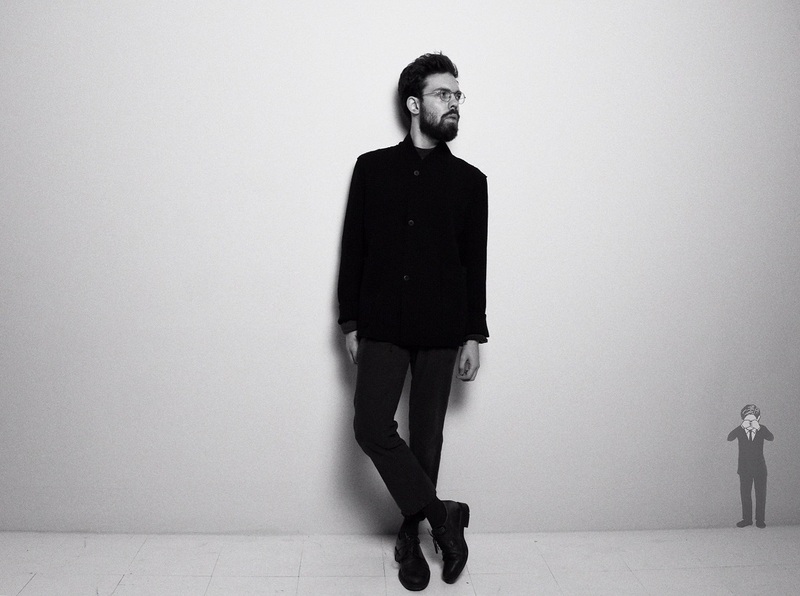 Henry Jamison recently spoke to Atwood Magazine while in San Francisco, during a day off his busy winter tour supporting Guster. Before going in to see Paweł Pawlikowski’s Cold War, Jamison sat down in the movie theater’s anteroom to discuss male privilege, storytelling, and the nuanced music and lyrics of Gloria Duplex. Dive deep into this important album with our exclusive interview, and be sure to catch Jamison on his headline tour this spring (dates and more info below)! Atwood Magazine: Music doesn't happen in a vacuum, so I want to begin by asking you: Why Gloria Duplex, and why now? Henry Jamison: Certainly, I’m happy that what I was thinking about for a few years leading up to the actual release of this record, was also gestating [in the public conscious]. It’s not that I’m happy that men are horrible, but that people have started to think about it. That’s hyperbolic, but really what I mean is… There are some deep-seeded things within men in our culture that need to be addressed, and I felt the need to address them in myself. Like right now, I’m sitting in this lounge in a cinema, and there’s a TV on the wall showing this poker match, and all these very angry-looking white guys… I don’t know, it just seems like all around us, whatever problems I see, they can kind of be related back to some hurt man. I didn’t necessarily set out to make some real concept album, and I wouldn’t even call it a concept album. It was just the most vital thing I could write about. I just started writing about it naturally, and then I did it a little more intentionally… and then out came the record! Can you remember any sort of pivot point or wake-up call - a moment where this idea really started to come together? Jamison: The most stark example is when I was writing the song “Florence Nightingale” – which is in no way what the song ended up being. It was basically valorizing this particular archetype of the nurturing woman, and then my girlfriend… I don’t know if I played it for her, but I told her sort of what it was about, and she was… I just expected her to be like, “Oh, nice,” but instead she had this polarizing reaction. So then, I [ended up] integrating her reaction to that, and realizing that I have these simplistic ideas of what women are and what men are, and how they relate and maybe how they should relate. So that song is the most complex version of what is happening generally on the record, which is relating myself and the culture to my current ideals, and then having those ideals questioned by feminine voices. Jamison: “I’m white, middle-class and male, and the dream does tell a tale of Whiteness dreaming of Whiteness, with a want for wisdom that might tip the scale.” I feel like the next lines fill it out a little bit more. You have a way with words, and on my very first listen I felt that “Florence Nightingale” represented this important moment on Gloria Duplex. It really feels like the core, or at least one of the cores to this very complex and important record. Jamison: Thanks, I’m glad you heard that. That song, it’s my favorite one, and I wrote it and then felt like maybe it wasn’t ready to have its moment; like I didn’t even know if I’d put it on this record, and then I thought I might bury it at the end just for people who got there… But then I started to realize that it’s not that strange. I feel like it can be heard as a sort of “folkie” song with a lot of lyrics, and then a big majestic chorus… but then if you’re really gonna listen to it, it has a lot more for you. When we spoke earlier last year about “Gloria,” you talked about how Gloria Duplex is about “the transcending of everyday prejudice;” how these words were both mundane and yet full with meaning, and how you loved their symmetry and symbolism. You alluded to this earlier, but when I first listened to the record, what I realized very quickly about Gloria Duplex is that the songs do tell one greater story. Maybe it's not a concept album; it's not necessarily a cohesive or traditional story like we're used to, but it's a story! Can you share a bit about the inspiration for this story and how you went about putting these songs together? Jamison: I think I was speaking to some British site not too long ago… The guy pointed out that the track listing starts in childhood and then sort of in a circuitous way moves through middle age… There are many exceptions to it, so it’s just basically a loose rubric maybe? But I don’t know, with storytelling, I think I’ve had it bashed into my head long enough, without knowing how much I believed it, that stories constitute our reality. Like, we have a story about everything – and there’s something just necessary; something that holds our attentions and our complexes, or gives us meaning. That’s the thing: If I’m singing about so-called toxic masculinity, which of course is my whole publicity campaign, it’s not going to work for me to… I wouldn’t do this anyway, because it wouldn’t have occurred to me, to just be very didactic or act like I know what’s right. Like, the only way for it to have any meaning for me or for anyone else, I think, is for it to be embedded images, and images lead to stories, and it just has to be very human. Poetry, it’s never like a treatise – even though I end up having to explain it, which I’m happy to do… But in the end, the meaning of the record is only in the stories and only in the images of the songs, as well as in the music – which is an irrational thing. That’s what’s so funny about putting a record out and trying to explain it all the time! It’s music, which is maybe one of the least explainable things. What I think about when I listen to the record, is a man coming to terms with his maleness: A man coming to terms with the fact that he is male; we can call it male privilege, or male fallibility? A man's exploration of “masculinity” outside our traditional understandings of the word; rather, the quality of being a man in 2018 and 2019. Whether you describe it through poetry or song, it's personal and very you, and I think what comes through is that this is a singer/songwriter's journey through this immersive process. Jamison: Yeah, that was intentional in the sense of trying to be an A-Side/B-Side a little bit, even though the A-Side turns out to be significantly longer than the B-Side. I envision the record starting over on “Beauty Sleep.” The name Gloria Duplex is Latin (I read) for “Seeing both sides.” The main point of it all, if it has anything that acts as a kind of answer to all the questions that it’s posing, is that we need to pop out of our sense of certainty, and the only way to do that is maybe to have a new M.O., where we look at something and we think we know what’s right about it, and then we have a little meditative moment where we try to consider what else could be true about it. What I like about the name Gloria Duplex, too, is that it has the transcendent and the more pedestrian right built into it. In the last song “Darkly,” I don’t sing see both sides or anything, but it’s like: “At first in part, and then in full, we open our eyes,” which is actually from 1st Corinthians. That was supposed to be this sigh of, “I don’t really know, but eventually I hope that I might — and maybe it will all come out in the wash, or something. It’s not the most hopeful thing. I hope to be a better, but we all fall down. For what it's worth, I think about this often and I wonder if you think about it too... It's great that these huge publications are picking you up! But does part of you also think, Why does a man talking about masculinity have to be newsworthy?! Jamison: Yeah, that was actually something that I was strongly considering saying, except that I didn’t really want to… Like, if the New York Times would even pay attention at all to what I was saying about it, which I’m sure they would not be… I didn’t want to look a gift horse from the mouth or whatever, because I do have my personal ambitions too! And we hail him as our savior. Jamison: (laughs) Well, I don’t know that I’m quite being hailed as a savior! I did pretty well in that [New York Times] interview… The only thing that I’d said, basically, was that I was not qualified to talk about it, which is — I guess that’s ironic? I dunno; I never know what irony is anymore. Straight white dude makes vague, poetic record about masculinity and then gets this immediate outsized reward. Moving on, I am dazzled by your vocal growth and expansion. Folks haven't talked about how much Henry Jamison has changed in a couple of years. You ditched your lower register altogether for most of these songs! What drew you to this new style of music, and what inspired the musical transition? Jamison: I think that a lot of them a lot of the production change came from working with Thomas Bartlett. I handed over a lot of the sonic elements, which I was very happy to do and I learned a lot. If and when I do produce myself or anything else, I think that I know so much more just from having watched him. I had plenty of ideas, but I wasn’t really trying to hold the reigns at all. So that was a big thing, and then I tend to have a bit of an unconsciousness around [my music]. I don’t really make sort of top, top decisions about my vocals. Like on the first record, Spencer (my manager) and the engineer I was co-producing with had some moments where they were like, “I think you should go up an octave.” And then with this, it was so slapdash — it was an enormous project! We tracked 15 songs in two weeks, and I was basically just singing things the way that I had written them. I wasn’t changing the keys or thinking about the octaves… I don’t know, all of the songs on this record came out very naturally; there wasn’t any really “A&R”-ing or hoping for radio placement, or any of that. So it feels very honest to me, and then I also feel like maybe I can consider — like, no one has ever said I ditched my low register, and now that I’m thinking about it, that seems true… So, I like my low register and I don’t want to ditch it! It wasn’t an intentional ditching! No of course, but you're so comfortable in the higher register and it just wasn't this side of you that we got to know on your first album. Jamison: On the first one, I think I was doing more like, popping up to falsetto? I was doing more low stuff and then popping up, and then doing less of the middle. I'm also stricken by your heavy use of orchestration. You mentioned working with Thomas Bartlett a lot with this; can you talk about the expansion beyond guitar, and how you went about orchestrating the record? Jamison: First of all, Thomas has a Mellotron, which has a lot of string samples — it sounds very like Faded Glory, like ’60s string samples — so there’s a fair amount of that, and then also Rob Moose did string arrangements on five of the songs, and my friend Adam Simon string arrangements on two others. “Florence Nightingale” has this big, medieval-sounding outro that Adam wrote… The whole thing was just scaled-up, ambition-wise. I play viola but very, very badly, and I was doing my own so-called string arrangements by overdubbing myself. It was mostly a function of having more money and more ability to choose the ideal group of people. It was also fast too — it wasn’t a super-conscious decision! This song needs strings, so send it off and get it back. I hired string players at the last minute — it was all pretty quick and dirty! I love the harmonies on “True North”; they’re delicate, high, and beautiful. Can you talk about that song, and the sense of loss you evoke in it? Jamison: That’s the last song I wrote for the album, and I had just written it. Now when we play it live, it’s very different. It’s the same material technically but it’s much more of a bombastic – like big-sounding song than the recording is. I really like the textures Thomas used – like, there’s that little electronic sound, and these little pitter-pattering percussive elements, and then Rob’s strings… It happened very nicely, and then my now ex-girlfriend, who inspired pretty much the whole thing. I got her to send me little voice note samples, and I put those in, and my friend Anna played banjo. I think that song is, for me, just in my own thinking about the record, it’s the sleeper hit. It’s not a big banger at all, but it’s just kind of a very nice summation of things. One theme which I’m probably going to work on more is thinking of nature as an alive being that we can relate to. If I’m trying to relate to another person, I’m not just going to try to relate to them through the purely human and conceptual world; it’s much better to do it with a mind for trees and the ocean. It’s kind of a vague point; I don’t know – I’m going to work on that more. I liked it, and I like the idea of a person being someone's True North as well. We hear a female voice again in “Magic Lantern,” where you sing, “You don’t want what you want, you don’t need what you need... you feel unclean, ‘cause you are unclean.” With the woman’s voice saying “It’s okay.” This conversation is fascinating to me; can you describe what we’re experiencing here? Jamison: I would almost expect people to hear it as more sarcastic than it is. Instead they’ve been hearing it as less sarcastic. That’s my friend Anna talking, and it’s like, “You really fucked up, dude, but it’s okay,” but it’s kind of almost like a question as well: How okay is it? Like, it’s not always OK. That’s what I like about those little spoken parts. I don’t necessarily know how to interpret them. Like, there are machine gun sounds; why did I put the machine guns in? It got to the point of being such a tapestry, that I just didn’t… Everything is intentional, but the reading of it is not clear, even to me. Everything is intentional, but the reading of it is not clear, even to me. You're still so in it. Your album’s middle section is home to its most interesting and unique moments. Can you talk to me about the dream sequence-like experience that happens between “Magic Lantern,” “Stars,” and “Beauty Sleep”? Jamison: Let’s see, “Magic Lantern” – that’s like a fever dream nightmare, kind of, “How does my life end up this way?” That’s being drawn on by I guess base instincts into a tumble down life moment. “Stars” is weeping for the world, and feeling very high and dry. It’s really specifically about being on tour and seeing this child actor in London, and just feeling like our culture is failing children and thinking about my mom out in the national park, looking for birds, and the stars shining down… And then the whole second part of that song is an inner monologue, interrupted or maybe helped along by these women’s voices questioning be while also being kind of consoling. That song is wild. It's so electronic; you could tell me it's an entirely different artist and I would believe you. Jamison: Yeah, it’s because I wrote it on piano. I’m going to write more on piano; I’m not a good pianist, but I have a good enough ear to figure out like classical-sounding things, and then I just practice them forever. That’s a very different thing, and I’m very happy with that song. That was also something we changed structurally in big ways, right up to the last minute. And then “Beauty Sleep” was really somewhat tossed off, in that it was a section of the song “Boys” that I then expanded. I’d written the first part of that a long time ago, and I stuck it in as the bridge of “Boys,” and then I wrote the last little “Gloria Duplex” thing in the studio, and Thomas put it through the plugin to make it sound like a vocoder. I also don’t know why it has that roboty voice; I don’t really know how to interpret that. James Blake has some songs like that – it’s that very crystalline sound, that just sounds good to me. It definitely has a dreamy quality too, and then there’s the banjo. The banjo… I feel like it has some sort of role, and I don’t know [what it is], but it just comes in as these little Twinkies that kind of ground it back in the world. You do come down, and from there you go into “In March” and “Reading Days,” which feel like a kind of coming out of that -- whatever it is. Putting our feet back on the ground. The record is so ambitious! People will talk about the content of masculinity and your lyricism, but what deserves equal credit is this album's musicality. I just don't know that there's too much out there like it. Justin Vernon with Bon Iver does his own mix of folk with electronic production, but that's not quite what you're doing here -- it's different! I hear it as the beginning of something special, and I'm curious: Were you ever thinking about other artists, modern or distant, when you were making this music and trying to figure out what this sound was gonna be? Jamison: What I naturally do is I write in a singer/songwritery mode, but I don’t want to be limited by that to some particular palette. Thomas has an OP-1 synthesizer and all sorts of plugins… I mean there was so much at our fingertips. I hear arrangements and then it just happens that they’re not really main-line folky. That’s just what happens, and I write on guitar so it ends up still being rooted in that folk sound, but knocking at the edges of the conventional folk arrangement. It's very unique. It's you. With the record almost out, what's on your mind? Jamison: Honestly, I’m just on tour, so it’s very rare [to have time]… Like, for me to be going to a movie is pretty crazy. I think I’ve only ever gone to one movie ever on tour, but we’ve had three shows in San Francisco, so we had the day to do whatever we wanted… The mode that I’m in is, “Get where I’m going, do what I need to do ,” and basically most of my day on tour is taken up by very practical, like “a” to “b” kind of stuff… but I’m reading some philosophy… Thinking about the record actually coming out, it feels like that is almost is more stuff in my day. I’m very happy to do interviews and stuff, but it’s like… Posting to socials, and everything that’s coming down the pike, it’s not going to be overwhelming or anything; it’s just a big to-do list, more than anything. I don’t really have too much room to think big, retrospective, this-is-what-this-moment-is kind of thoughts. Jamison: I’m pretty much always reading Rilke the poet, and I just got some stuff yesterday… I don’t really know what to say about it yet, but I bought this novel by Joseph Roth, who I like a lot. My keyboard player and I have been bro-ing down on some Slavoj Žižek. Great! Henry, thank you for your time and congratulations on Gloria Duplex's release!